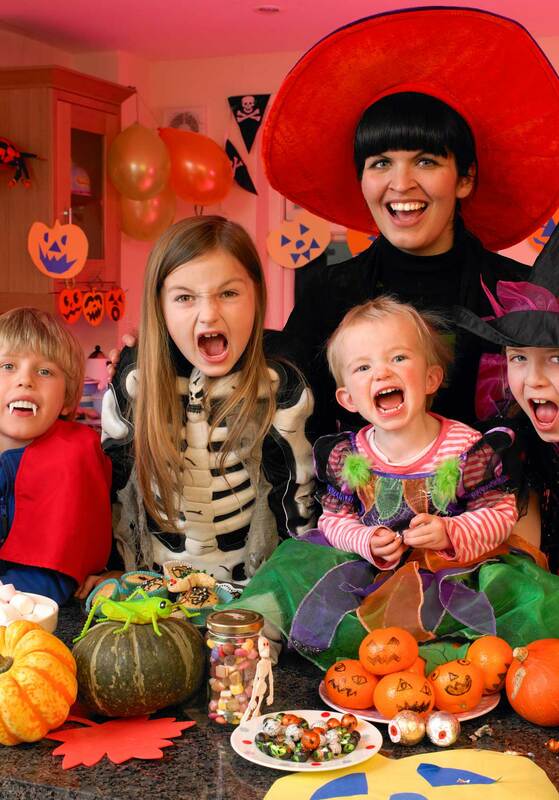 We have put together some Halloween fun recipes kids will love. And bonus, some are healthy too! Make Halloween Suppers Delicious and Healthy by Using Bison or Elk Meat instead of Beef. 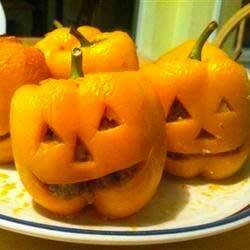 Here are some fun recipes for your trick or treaters. 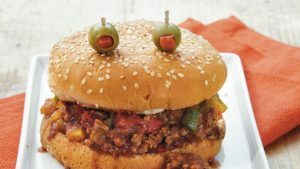 Get in the spirit and make these funny Sloppy Joes for Halloween or any night. Kids will gobble them up. Or make it even easier. Buy our ready made bison or elk burgers and add 2 olives for eyes on top of the buns. Voila, fun, fast, easy, yummy! 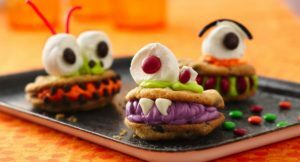 Halloween Fun Dessert for Kids. These monster Halloween treats are so easy and fun too. OK, This next one is really creepy. Your older kids will love it. Be sure to feed them before they go trick-or-treating. Serve with macaroni and cheese. So much fun to make. 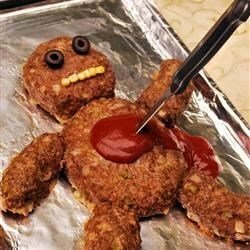 This is perfect for a pre-trick or treat dinner especially if you have boys. Definitely gross looking. Perfect for Halloween. Use our chili recipe to stuff each pepper. Place in a greased baking dish, leaning them against each other. Cook at 350°F for about an hour. Get creative by using different coloured peppers. All these treats are great for Halloween parties, pre-trick or treat dinners or any time of the year. Bison and elk meat are healthy, all natural with no added hormones or steroids. They’re nutritious and delicious. Substitute elk and bison meat for any recipes calling for beef.